Trade your classic white pearl earrings for this evening-ready chocolate pair. 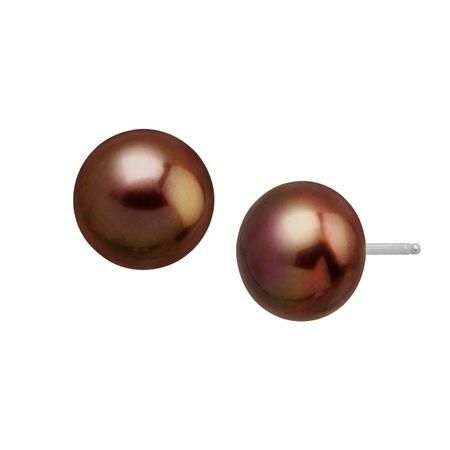 10-11 mm freshwater chocolate pearls are set in sterling silver and feature happy earring backs so your look stays put all day long. Complete with friction-back posts. Pieces measure 7/16 by 7/16 inches.